Affordable internet solutions for your home, cottage or office in Northern New York. Watch your favorite shows and movies with nothing but an internet connection. Stream to your big screen with a media player, like an Apple TV, Roku, or Fire TV with your Ridgeview Communications data. 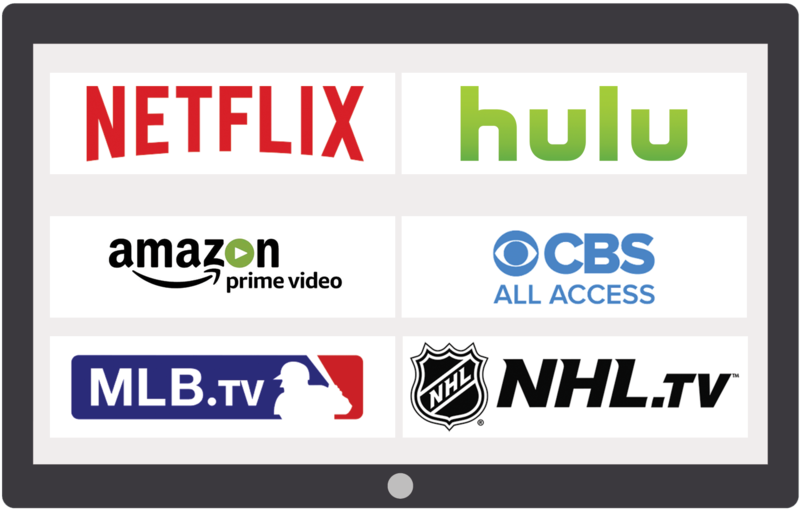 Save money and access everything from live sports to classic movies on all your home devices. Switching to Ridgeview Communications has saved us money and allowed us to take advantage streaming services. After one month we decided to cancel our cable and now we just stream shows on our tv. We recently switched our summer home to Ridgeview Communications from Hughes Net. The level of customer service and quality was eye opening! IT is great to have reliable internet without hassle. I am so pleased with my Ridgeview Communications internet service! Living and working from an island are a challenge and having quality internet is essential to my business. I previously relied on an AT&T hotspot and was constantly worried about overages and extra fees, now I save money and have better coverage.